Oh, if only I could live in Lucky Harbor! I've read several books in this series now and I've got to say I love them all. 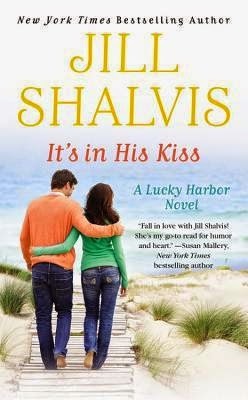 Jill Shalvis is one author that has never disappointed me. Her books are always at least a really good read for me, if I don't outright love them. It's in His Kiss is definitely one that I loved! The characters in It's In His Kiss feel like real people, the romance is hot, there are loads of little funny things going on and it is really well written. All around good read. It's one of those books that will make you smile while reading and feel all warm and fuzzy inside by the end. While this book is part of a series (all of which have titles that are song names, in case you didn't notice) but you wouldn't have any problem reading it as a standalone.